If you’re a real estate agents, odds are good that you’re using Facebook to promote your business. And if you’re not using it, you should be. It’s the most popular real estate network overall, its audience is the ideal home-buyer demographic, plus it provides 99% of the social media traffic to agents’ websites (that’s right, 99%). But there’s a difference between using Facebook and using it well. To get the best ROI on the time (and possibly money) you invest in your Facebook page, you need to use video. Here’s why. Ever since Facebook introduced its April 2015 algorithm update, business pages have been feeling the pinch. The update, which prioritized friends’ posts over those coming from pages, slashed business-page reach overnight. Facebook said it was to make sure people were seeing posts they really cared about; everyone else said it was to “encourage” businesses to buy more ads. Regardless, the rules mean you need a way to boost your reach, and Facebook video does that naturally. 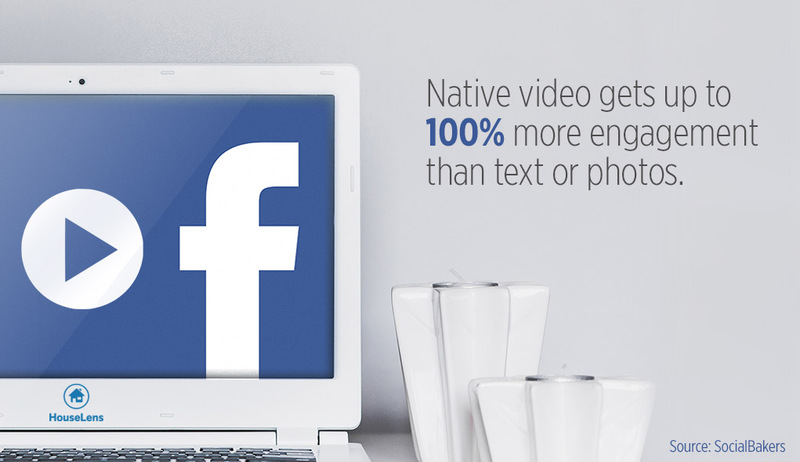 According to a study by Socialbakers, native video doubles the organic Facebook reach of posts. “Native” video is video that’s embedded in, not just linked to from, a Facebook post. When it passes through users’ newsfeeds, it plays automatically. So take the time to upload your videos to your posts. Bonus: once a video is uploaded, it will be stored in your page’s video library for future visitors to watch. Social media isn’t just about quantity – it’s about quality. All the reach in the world won’t do you any good if viewers don’t actually connect with you. That’s where video comes in. People are 12 times more likely to share a video than they are to share text, links, or photos. In addition, homes marketed with video generate four times the inquiries of homes marketed without video. 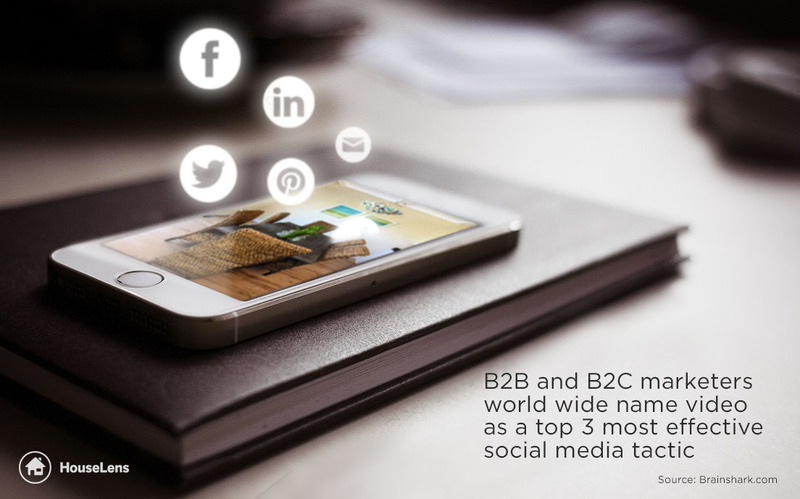 No wonder marketers name video as a Top 3 most effective tool for social media! It’s the ideal way to encouragement engagement with your page, and it can drive leads for the listings you’re sharing. In late 2015, Facebook officially blew past YouTube to take the title of Internet’s Biggest Video Platform. Facebook video now commands a staggering 8 billion views a day. That’s thanks largely to Facebook’s autoplay functionality and its decision to prioritize videos in users’ newsfeeds (see Point No. 1, above). YouTube is still a very good choice for sharing your videos online, especially since it’s a Google property and the Internet’s No. 2 search engine. But if you’re not also sharing your videos on Facebook, you’re missing out on a massive audience. That’s the “why” for using Facebook video to build your real estate business. Come back next week to learn the “how”!